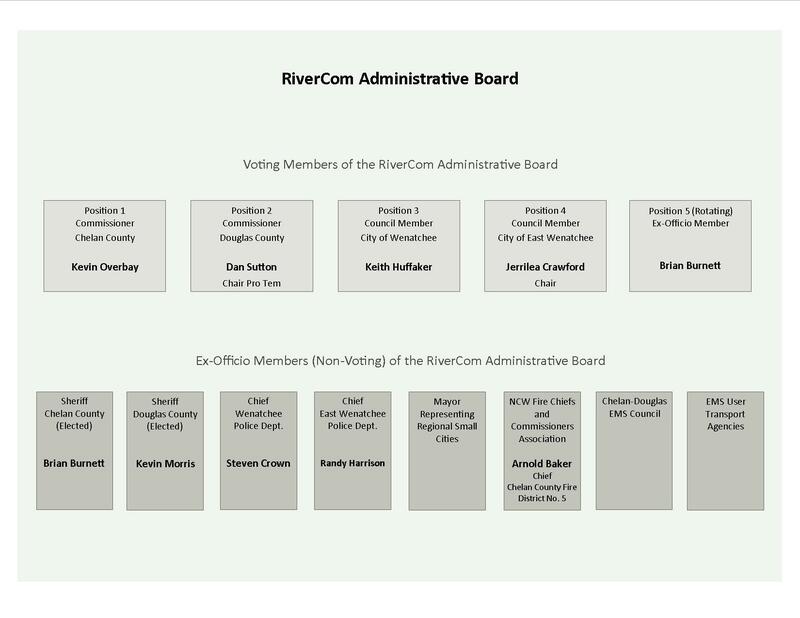 RiverCom is governed by the RiverCom Administrative Board, a governing body that was established through the agency’s originating Interlocal Agreement. The Administrative Board consists of five (5) voting members as well as a group of non-voting ex-officio members. The RiverCom Administrative Board conducts its regular meetings at 9:00 AM on the second Wednesday of each month in the Wenatchee City Hall Council Chambers, located at 301 Yakima Street, Wenatchee, WA 98801.